Penang was first discovered by Portuguese traders from Goa, India in the 16th century. They were sailing to the Far East in search of spices. On their way they accidentally found a small island to replenish their water supplies. 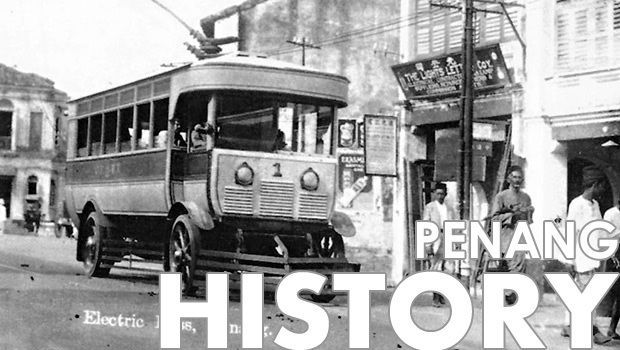 This was the first unofficial time when Penang was discovered. During the monsoon months in the 17th century, Penang, as a northern entry to the Malacca Straits was a sheltered harbor for various ships from India, Arab, China and Europe. This made Penang a vulnerable land for pirates. Penang’s history shows that the very first English person to reach Penang was the merchant-navigator Sir James Lancaster in the 16th century. He was a commander against the nemesis of the Spanish Armada. He put his foot on Penang in 1592 and stayed there until 1594. Officially Penang was recorded in the 18th century, in 1786, when the Sultan of Kedah ceded the state to Francis Light of the British East India Company. In exchange Light promised that the entire Sultanate will be under their military protection. This never happened, and Sultan tried to retake Penang in 1790, but he lost this war. As Penang was under British rule, it became a big center for tea, spices and cloth trade. Penang became an important industrial state mainly because of its geographic position. Its economical situation increased because it had a naval entry. Penang was under British rule until it became part of Malaysia in 1957 during Independence Day, and in 1963, also became a member state of Malaysia. Despite its economical crisis in 1969, when the island’s free port status was revoked, between 1970s and 1990s Penang built up one of the largest electronics manufacturing bases in Asia. The Penang Bridge that connects the island with the mainland was built during Dr. Lim Chong Eu’s tenure. Today Penang is an important travel point and this is the main reason the administration have decided to build the Penang Second Bridge. It is interesting to find out historical details and see how much Penang has gradually and spectacularly improved.